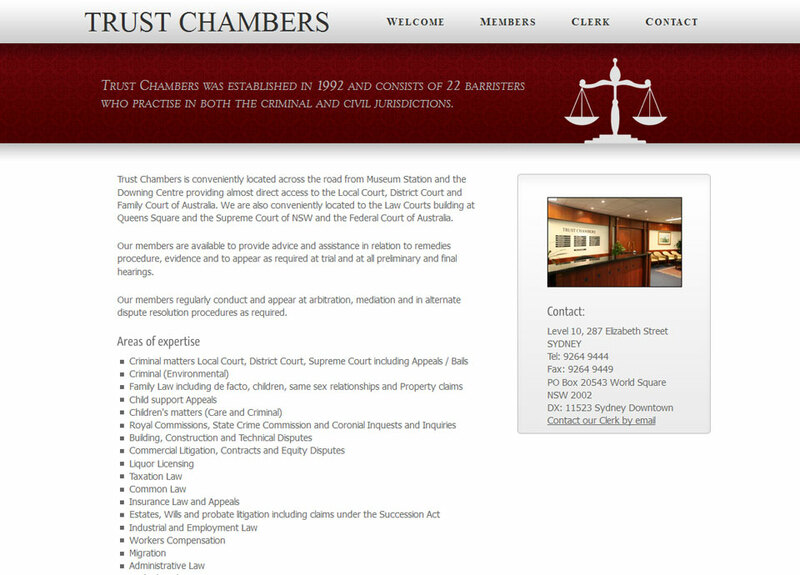 Beautiful, professional websites for Barristers and Solicitors. Modern, crisp, clean design appropriate to the dignity of your profession. Barristers – make available the portfolios of your members to solicitors looking for an appropritely qualified and experienced barrister. Solicitors – present the unique experience and expertise of your offices and solicitors to prospective clients. I can ensure your chambers or offices are promoted in the most efficient and attractive manner with a website that reflects your strengths and values. 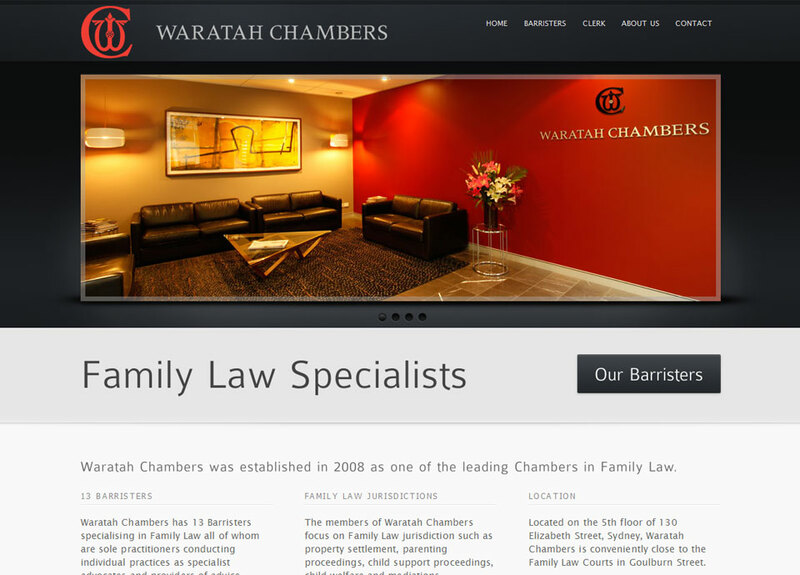 Waratah Chambers has 13 Barristers specialising in Family Law all of whom are sole practitioners conducting individual practices as specialist advocates and providers of advice. Trust Chambers was established in 1992 and consists of 22 barristers who practise in both the criminal and civil jurisdictions. 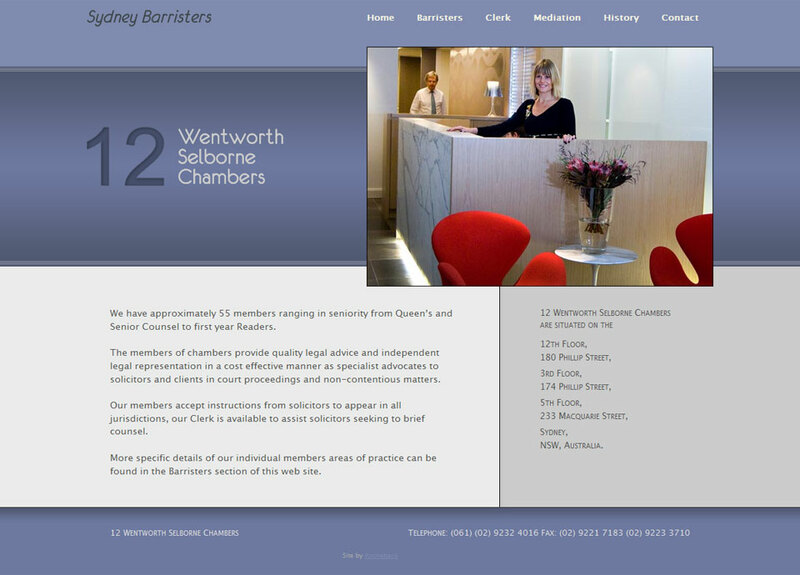 12 Wentworth Selborne Chambers is a large barrister's chambers with approximately 55 members ranging in seniority from Queen’s and Senior Counsel to first year Readers.